Sandy fields, hillsides, and dunes; disturbed ground including railroads, roadsides, and gravel pits. 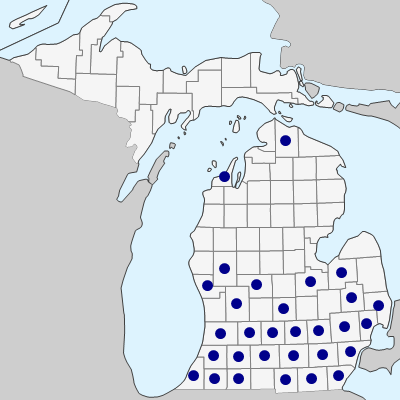 Though sometimes occurring in dry prairie remnants, perhaps not native quite as far east as Michigan; the first Michigan collections are from 1885 (Ingham Co.), 1892 (St. Clair Co.), and 1896 (Kent Co.). 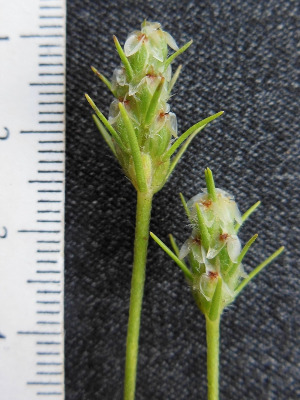 Very depauperate plants with shorter bracts than usual may be confused with P. patagonica and P. virginica, but the bracts are still more prolonged and the pubescence is not densely silky (unlike P. patagonica); the corolla lobes are spreading (unlike P. virginica). MICHIGAN FLORA ONLINE. A. A. Reznicek, E. G. Voss, & B. S. Walters. February 2011. University of Michigan. Web. April 21, 2019. https://michiganflora.net/species.aspx?id=1963.